Mr. 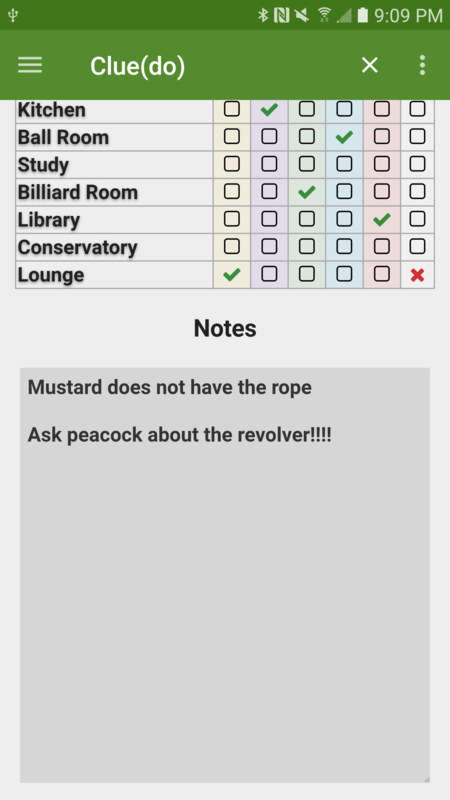 Body is an assistant application to the board game Cluedo (aka Clue in North America). 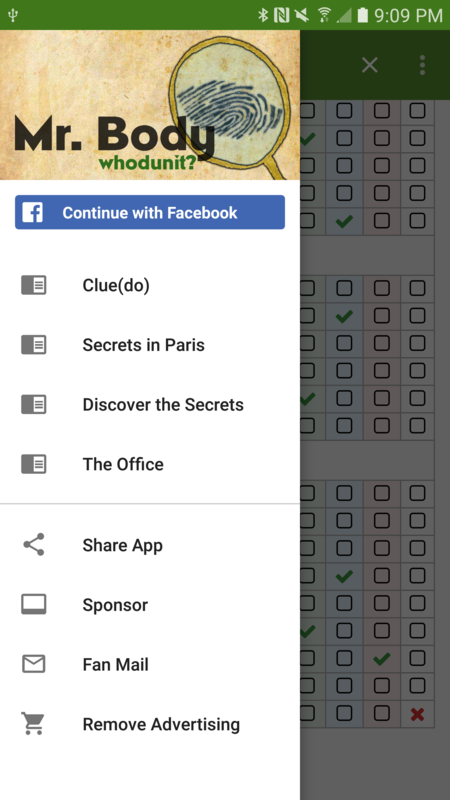 It currently acts as a replacement for the paper game scorecards, and supports the original Cluedo, Clue: Secrets in Paris, Clue: Discover the Secrets, and Clue: The Office edition. 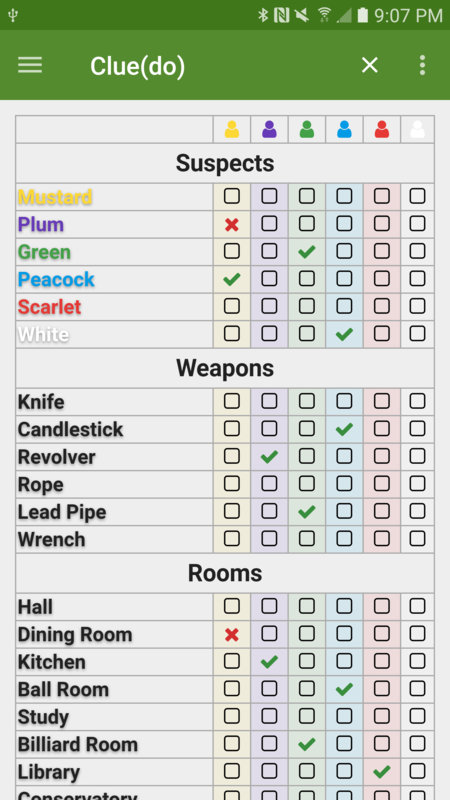 I will add more features and more editions of Cluedo upon request. Clue/Cluedo are trademarks of Hasbro. Mr. 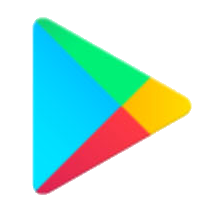 Body is not an official app and is not affiliated with Hasbro in any way.